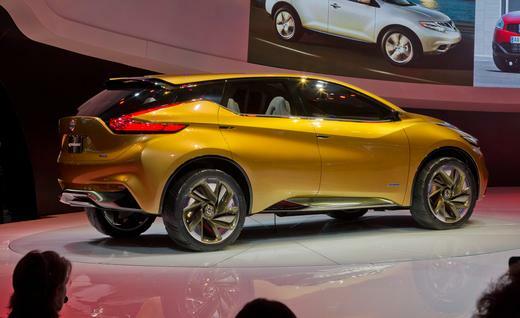 It appears as though Nissan has raised the bar, yet again, on Crossover concept vehicles. The Japanese motor company has produced three Crossover concepts in just over a year in its NISMO Concept, Hi-Cross Concept and the TeRRA Concept. Now, with the recent introduction of the new Resonance Concept, Nissan can officially be crowned the King of Crossovers. The Resonance was first revealed at the 2013 Detroit Auto Show, and although Nissan has yet to announce, rumor has it that the Resonance is the next-generation Murano. Dimensionally, the Resonance is similar to the current Murano in every measurement; but that’s where the similarities stop. The Resonance features a panoramic glass roof, giant 22-inch wheels, a tinted translucent acrylic grille, and a blazing Flare Orange paint job. Nissan’s now-signature boomerang-shaped lights also make an appearance on the Resonance, although they’re more attractively stretched. 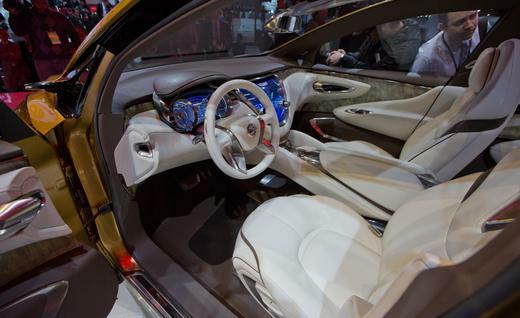 Inspired by “the future of first-class space travel,” the Resonance boasts a sufficiently futuristic interior that is quite aesthetically pleasing. Keeping with the very popular trend of Hybrid SUVs and Crossovers, the Resonance’s day-to-day power requirements are addressed by a hybrid powertrain. Nissan says the concept makes use of a 2.5-liter four-cylinder mated with an electric motor and a continuously variable transmission (CVT); all-wheel drive is also part of the mix. The electric motor is powered by a lithium-ion battery pack, which can be recharged with kinetic energy captured during braking. It may be a while until the new Resonance Concept comes to life, but All Star Automotive has a huge selection of current Nissan Crossover and SUV models that are sure to please! If you’re interested in test-driving or getting more information on a Nissan Murano, Pathfinder, Armada, Juke, Rogue or Xterra visit http://www.allstarautomotive.com/. This entry was posted in Uncategorized and tagged all star auto, all star automotive, All Star Nissan, baton rouge, Baton Rouge Nissan, Crossover, la, LA Nissan, louisiana, Louisiana Nissan, New Nissan, Nissan, Nissan Concept, Nissan Crossover, Nissan Resonance, Nissan SUV, Resonance, Resonance Concept, SUV, Used Nissan by All Star. Bookmark the permalink.